Chevrolet would be showcasing the new-generation carline that features a new design DNA at the 2016 Auto Expo in Delhi. As we know, Country’s largest automotive extravaganza – The Auto Expo 2016 opens on 3rd February and Chevrolet will be officially revealing details on their product line with new design DNA. General Motors India is also set to reveal 2 new concept vehicles at the Chevrolet Pavilion in Hall number 5 during a press conference that begins at 8:20 a.m. on February 3. 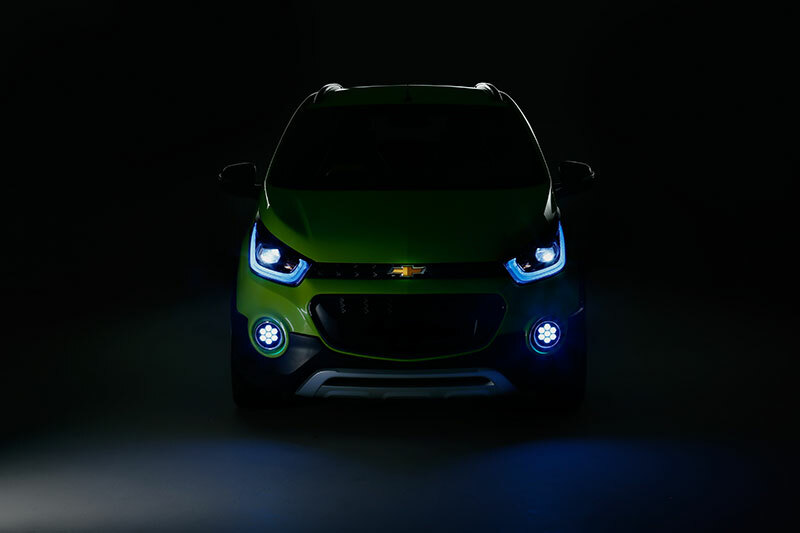 Visitors to the 2016 Auto Expo will see a completely new Chevrolet. Our presence at this year’s event will be highlighted by some Chevrolet product reveals that will mirror the aspirations of Indian consumers and compete in the most vital segments of the Indian vehicle market. Chevrolet would also be displaying showstoppers such as the Corvette and Camaro sports cars, Chevrolet Colorado pick-up plus the recently-launched Trailblazer and the new Cruze with styling and feature upgrades. Spin, which is slated to be launched in the year 2017 is also going to be displayed. Visitors who will be coming to Chevrolet Pavilion will be able to enjoy the Passabilities and Colorado Co-driver interactive activities. Also read: Expect these new cars at Auto Expo 2016.